Majority of bloggers blog to share their passion. It was the same for me, my blog was a hobby post my addiction to twitter as I wanted a platform to express my opinions and my style gyaan in more than 140 characters. Today blogging is like a dream part time job for me. I get to write about topics I deeply love and I decide when I write and when I take off. The money isnt big but when you love doing it this much it doesnt really matter. 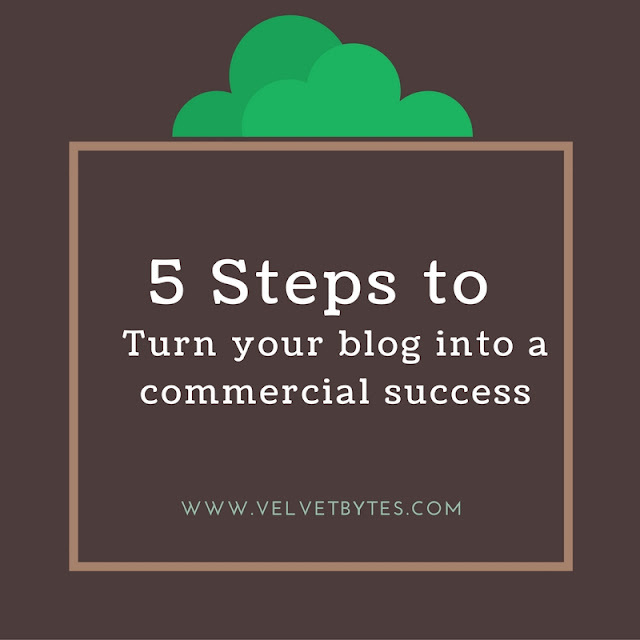 Today blogging is a full fledged career and you can easily earn a living from it but ofcourse like every other commercial business you need to invest money and time on your blog for it to become a commercial success . In addition to that you also need a strong network and build trust and authenticity with your readers. I have been working on blingsparkle blog where we focus mainly on creating content we are passionate about and today in this post what it takes to start earning from a blog. Content is the king and it will always remain the king. Original and creative content is the main ingredient of a successful blog so concentrate on creating unique content which will bring in organic readers. Writing good content is not enough, you need to find an audience for it. Numbers do matter and it matters even more when you are aiming for commercial success. Start off by interacting with other bloggers in your niche, commenting on their posts and building your facebook fan base. ~Host a contest to bring in readers . If your blog is new you will need to sponsor the giveaway yourself or you can ask a brand to sponsor it for you. ~Use the social media to build relationships with fellow bloggers. ~ Do simple keyword research before writing a post. Use free tools like Google Adwords’ Keyword Tool to find out how many people are searching about the topic you are going to write on and what combination of words are they searching for. The template of your blog is important to make a good first impression on both readers and brands. If you dont take the design of your blog seriously then PRs or brands may also not take you seriously! You dont need to hire a professional to design the look of your blog just buy a clean and a simple theme with readable font . If you want commercial success you need to keep exploring different stream of revenue. Do not stick to tried and tested basics like adsense , keep trying out new methids because you never which revenue model may work better for you. So try affiliates, youtube video ads, banner ads and even selling your own service or product . 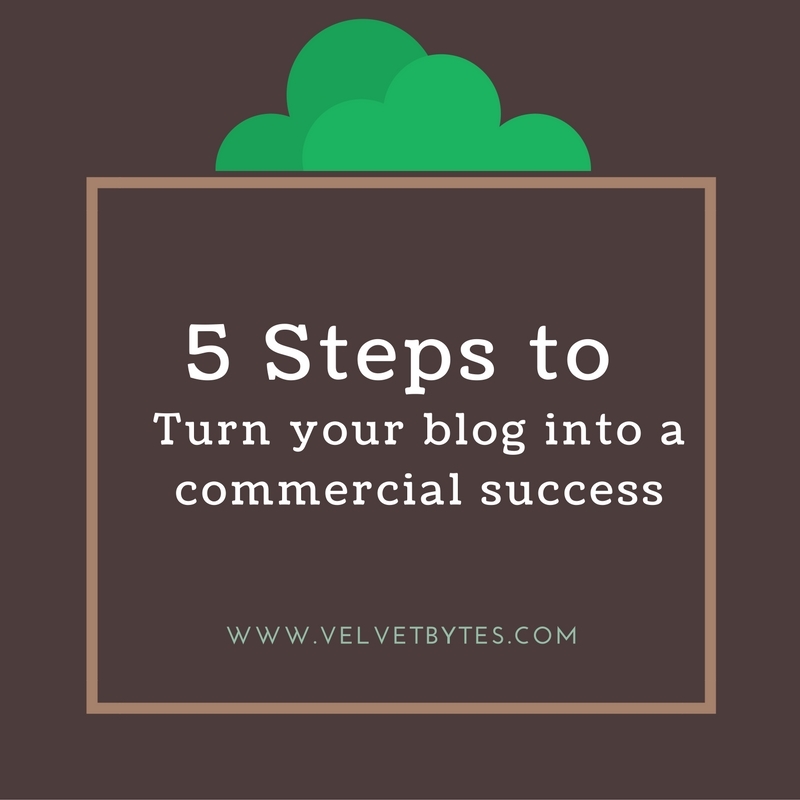 Turning your blog into a commercial success means you need to treat it like a business and have clear goals and proper strategy. In addition to this dont be afraid to invest a little and with hard work results will follow.